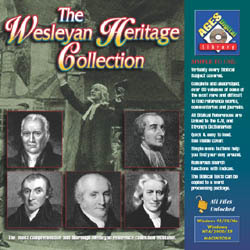 This is a collection of over 60 dificult to find and generally out of print volumes from the Wesleyan/Arminian viewpoint. All 37 volumes of Commentary and 28 volumes of Reference Works in this collection are complete and unabridged. This collection of some of the most treasured and valued Commentaries, Expositions, Dictionaries and Reference Works is now being made available to today's Christian reader in one convenient package.